Tottenham need to put that disappointment behind them as they look to hold onto second place with a win over Southampton on Sunday. Don't miss our TOTTENHAM v SOUTHAMPTON betting preview with predictions, betting tips, enhanced odds, starting lineups, free bets and no deposit bonuses on this clash! Monday night’s 2-2 draw away against Chelsea decisively ended Tottenham’s hopes of winning the title. They must now refocus because they suddenly find themselves fighting to retain second place in the table. Bitter rivals Arsenal are just three points behind them. Spurs have won 10 and lost just one of their last 15 EPL fixtures (D4). Furthermore, they have won six of their last nine in the league at White Hart Lane. Nabil Bentaleb remains the only absentee from Tottenham's first-team squad while Dele Alli and Mousa Dembele are both suspended. Ryan Mason could deputise alongside Eric Dier in the double-pivot, with Heung-Min Son, Christian Eriksen and Erik Lamela likely to form the attacking midfield trio behind lone striker Harry Kane once again. Danny Rose and Toby Alderweireld are both available after recovering from injuries picked last time out. Southampton come into this fixture off the back of a hugely impressive 4-2 victory at home against Manchester City last weekend. They have only lost to leaders Leicester in their last eight matches and they are chasing European football for next season as back-to-back wins has moved them to within three points of Manchester United, albeit having played a game more. Boss Ronald Koeman could name an unchanged side as Florin Gardos is his only injury concern. Sadio Mane, Steven Davis and Dusan Tadic look likely to form the attacking midfield trio. Graziano Pelle was dropped from the matchday squad against City and may be left out once again, leaving Shane Long to operate as the lone striker once again. Jay Rodriguez will be hoping for minutes having come off the bench last weekend. Cuco Martina may again get the nod ahead of Cedric Soares at right-back. Tottenham have now won seven and lost just one of their last nine matches against the South Coast club (W7-D1-L1) including a 2-0 win at St Mary's in December in which Kane and Alli scored in the space of three minutes just before half time. Price boost! 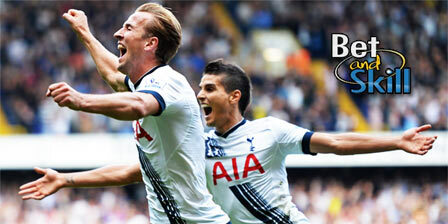 Get 12/1 Tottenham to win + £100 bonus! Risk-free! 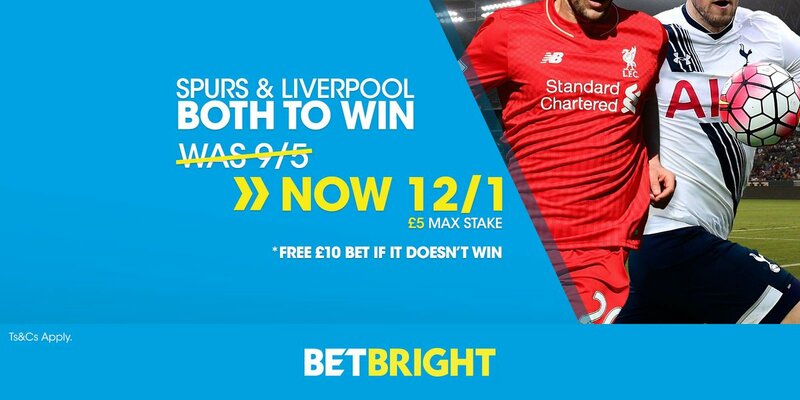 Enhanced Double: 12/1 Spurs & Liverpool both to win + £10 free! Crazy treble! 20/1 Tottenham, Liverpool & Manchester City all to win! Enhanced Treble: 20/1 Spurs, Liverpool & Man City to win! No Risk! Price boost! Get 14/1 Southampton to beat Tottenham! 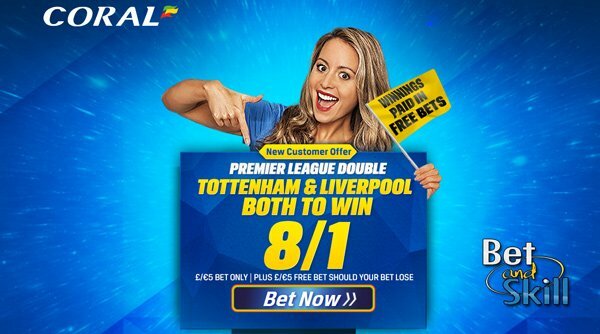 Crazy double: 8/1 Tottenham & Liverpool to win + £5 free bet! RealDealBet just launched in UK! Get a 100% bonus up to £50! "Tottenham v Southampton predictions, betting tips, odds and lineups (Premier League - 8.5.2016)"